Not working after last iPhone update!!!!! Been over a week now!!!!! My issue is why is microsoft customer service line closed, when there are students who can’t open files when homework is due, this makes me loose all trust with microsoft office. How can I ever be reassured again, or trust a software who can’t provide the basic needs of proper autosave and opening files. Which should be a basic task. There also no optimization and so many missing features. You cannot make a chart even if the options are there, it is impossible and you can not add series or change any chart data. Very poorly executed. Could use more descriptive actions on tabs. Icons are often not enough to determine actions. NEW UPDATE WONT WORK! PLEASE FIX!!! I’ve used this app for a long time now. From formatting work charts to managing my personal finances and so on but since this new update, THE APP WONT LOAD!!!! Please fix this ASAP! Before this update. I would have given 5 starts....I literally live off this and I need it to work! It has a ways to go to get close in performance with the Windows version but it is viable in emergency situations! Works great for my needs, but I sure hope that whoever designed the new look of the app icon has been banished to a desert island and someone is working on restoring the adult versions. These white Microsoft icons are pure garbage. Not easy to find docs. The app is really great for making spreadsheets etc when I don’t have access to a laptop! Can we please fix margin adjustment? I love spread sheets & this is a very easy one to use. Unable to generate a page to print. Needs update. Update needed. Come on Microsoft get this fixed. This is great! I love having Excel on my iPad. So convenient! So far the only downside I can find, and it could be operator error, is I cannot find a way to preview or change the page breaks like I can on my desktop computer. It’s great, not having to carry around my macbook pro and use excel for work on the iPad. I’ve gotten used to and actually prefer to use Excel on iPad for a quick project. However, after the update for Apple Pencil 2, program does not respond upon opening sheets, switching tabs, etc when you are using the apple pencil unless you tap on the Draw tab, and tap again on Home tab. It wasn’t doing that before the update. This does not make for smooth, quick work process, having to switch back and forth. I talked to the Tech Support about this, and was told that basically it is what it is now and that I’d have to wait for MS to fix this issue. Sooner than later would be great. Also, if there is a way that allows multiple sheets open at the same time, that’d be wonderful, but one can only dream. I use excel to schedule tournament play. Still unable to generate a print page and export to pdf due to not being able to contact the online service that performs these functions. Apple has tested and this issue is with Microsoft. Please fix with the April update! This app works well and helps me to be more efficient when navigating from one device to the next. When you open the app, it automatically loads up the last file you had opened. That takes a few seconds. If it’s not the file you want, then you can cancel before it opens. That takes a few seconds. Now, you can search for the actually file that you want. That takes a few seconds. You probably won’t find the file you want unless it’s already downloaded. That takes a few seconds. It takes a few seconds to open the file. Do you see where I’m going here? I am not able to copy and past a shared excel sheet. Very frustrating. Since it works on my desktop and laptop, it should work on this top of the line I Pad. Very disappointed. Print or Export not working! This app was working good till this most recent update. After the update I can’t print to PDF or anything really. I am also not able to export. Please fix. I use these functions for work constantly. Difficult to merge cells. Kind of slow using I Pro. Easy to use....Excel version for iPad fits all my needs. I use this for selling custom homes. I have set up a data base of my houses and their specs. I have used vlookup and data lists and many more formulas to make this excel tool work for my business. A customer-friendly application. Much improvements from previous years. Never functions correctly. Constantly forgets you already have a subscription and wants you to pay for it again. It’s exactly what you would expect from Microsoft. Garbage. I would consider my self and beginner with excel and the app is truly easy to use and navigate. Makes me feel like a pro! Good and easy for work . Supper App. Does what it says it will do and is transparent to the user. Very easy to use you can open this program and do basic Page layouts right of the bat. I was able to open this program and create a checklist for my small business without any real effort ! It'd be good to be able to size rows and columns in this app from an iPhone, but being able to use it even to just edit a file is great! The first iPhone 8 I bought never quite did Microsoft Office apps the way it should have. That phone didn’t keep Excel open long enough to enter data tracking medications over an hour. Repeated log outs and sign ins were required. This iPhone 8 handles Excel much better. It stays logged in. Whether it’s due to MO improvements or iPhone 8’s changes isn’t clear, but they work together much better now. The first iPhone 8 had issues in other areas as well. Been using Excel since it was available only for the Mac(Yes, there was such a time). With each release, some features are added, some are lost, some are improved and some are redesigned and rendered useless. The choices made in the current version by Microsoft are almost all positive. GOOD JOB ! I discovered that had way that a workbook I created on Excel 2010 (windows) will not work on my iPad. 1) macros will not work (big inconvenience) 2) data created in one sheet is not copying to another sheet when you have a lot of these type commands =‘sheet1’!a1 I have 4 sheets I collect 75 pieces of data in, and they all go to one sheet that performs my calculations. The formulas only work if I go into the cell with the formula, and press enter. It will then evaluate the value to display in that one cell. This sheet uses index, indirect and match functions. It would be nice to see some features from the desktop, drop downs, macros, hyperlinks with in spreadsheets. I would like to see more than a basic viewer. Hard to build useful automation or helpful buttons with now viable feature set built in. A more basic version of Excel. Yes, this is a more basic version of Excel than what you might find on Windows, but for many people it has everything they need. The one feature that seems to have gone missing is the ability to add a note to a cell.. I dont want to add a comment thread, just make a notation on a cell. Comments might be fine as a substitute but they cannot be printed. Would love ‘notes’ to come back. Microsoft 365 Subscription is TERRIBLE! I use an iPad and a MacBook Pro, sometimes without an internet connection. Even though I have paid for the year, Microsoft insists on checking my subscription every time I open up Excel or Word or PowerPoint. Because I do not have an Internet connection I am forced to tap a button asking for MS to ‘Try Later.’ This is RIDICULOUS. And annoying! You cannot open 365 in the browser. The App does not have a full functionality and is missing critical features required for anything serious. Considering an iPad is as powerful as any laptop this is just a software problem. A wonderful tool that really helps me with my business. I have Excel at home and work but can not use my copy in OneDrive without Office 365. Microsoft lied about having access to my files on the phone and iPad. Shame on Microsoft!!! Should allow auto syncing that mirros Apple Numbers for iPhone. So two users can update docs simultaneously without having to make new versions. there is a problem about pivot refresh. It is so nice to be able to pull up an Excel document out of the office from Teams and review, edit and comment on it! Thanks Microsoft developers. Just gets stuck while opening from Onedrive. We have Office365 for business. Worthless. It’s really ok, not bad at all. For the most part I enjoy Excel. I’ve been using it for more than 20 years. Nowadays most commonly used features from what it has to offer are available online at no charge with a better overall experience. So, I think it’s just OK.
Why can’t I selectively format text within a cell? I don’t use excel the way it’s likely intended for most users, but for my purposes, the inability to selectively format text within a cell is infuriating. That seems like a very basic feature. However, the additional cell boundary options compared to Numbers are nice. In order to edit I have to sign in. The problem is that I have to sign in every time I move away from the page. 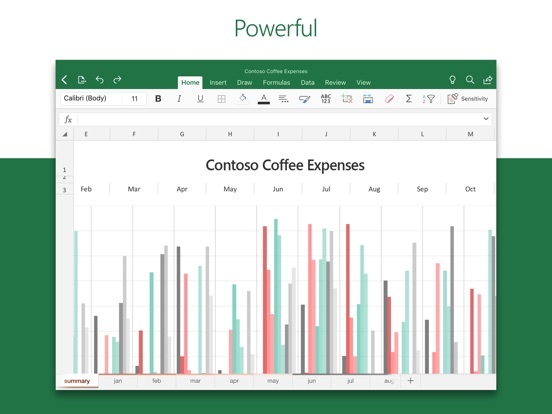 Their ads and tag lines state that you can unlock the full potential of Excel across all your devices. Truth is however the Mac versions lack so many features of the PC world: no power pivot, power query, power maps, data model, user forms and much more. Come on Microsoft we pay the same price as PC users for far less functionality. It works, but a bit clumsy to navigate. And the file closes every time I go to a different app. The auto save keeps most everything , but not really user friendly. I started using this app a few years ago and use the paid version and have not EVER been able to save the file in drive or share with app or outlook or any means to move the file to a physical hard drive rather than the just on my device that made the spreadsheet. Needs some work.. I was previously using this app for my .xlsx files on my iPad that are stored on Google Drive. Suddenly I can no longer access the files. I can see them but they are not in a format that is recognized by Excel and I am being forced to move them to One Drive if I want to use my iPad. 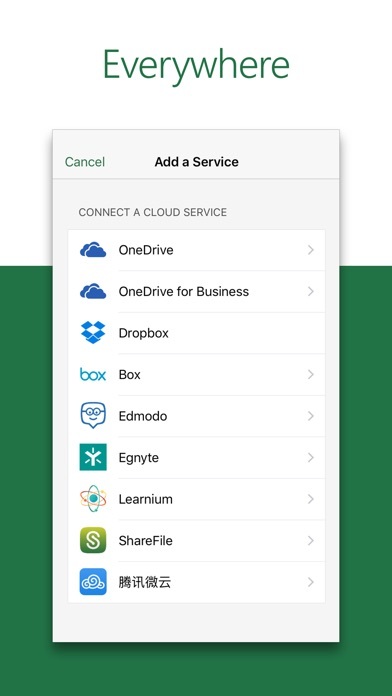 I’m pretty frustrated as I use my iPad more than I use my Mac and I’m disappointed that [it appears] that Microsoft is forcing me to their cloud storage. Since I’m all Apple at home I guess I will be forced to find another way to manage my documents that doesn’t include a subscriptions to the Office suite. Thanks, Microsoft, for saving me a few dollars. Recently bought new ipad pro, now excel app in my new pad pro said i don’t have any subscription.. can you work out to cancel my old ipad and carry over my subscription to my new pad pro. All of my documents in my pocket. As a casual user this is way too expensive when compared to google sheets being free... it’s also not a great app only reason to use is compatibility with others. 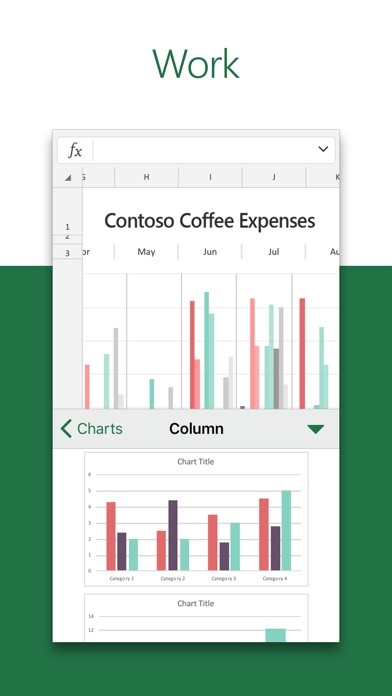 Running excel on a phone seems like an insane idea, but they make it work. Fast and solid. Sync is reliable. Quality engineering. It is easy to use and love it. I use my iPad Pro for everything college. Literally everything. I type papers on the Microsoft Word app, make Power Points on Microsoft’s PowerPoint app, take notes, do online assignments, play games, listen to music, watch school related videos WHILE taking notes, etc etc. I do know that some features are left out on Microsoft apps since I’m using an Apple product and they DO NOT go unnoticed. Such features I have been able to go without and many people probably don’t use them often. 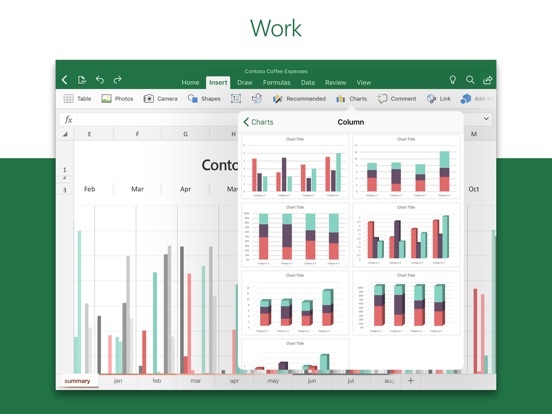 When it comes to Microsoft’s Excel app, too many features are left out and the app is almost rendered useless for engineering work. I need to be able to manipulate line graphs, scatter plots, and data and this app doesn’t allow me to do so. If I have 2 columns of data, I need to plot one versus the other, and this app doesn’t allow me to do so. Then once I do that, I need to be able to see all the data that comes with the graph that is generated, like the r^2 value and setting tolerances for trend lines etc. Maybe it was a far fetched idea in the first place to think I could use an iPad for all my college engineering work, but its frustrating when I can do literally everything else on my iPad faster, easier, and more convenient than with a laptop, EXCEPT for Microsoft Excel. Literally the only drawback I have with my iPad. I get Office 365 through college so I’m still paying Microsoft for ALL of its features, but not getting them. Disappointing. 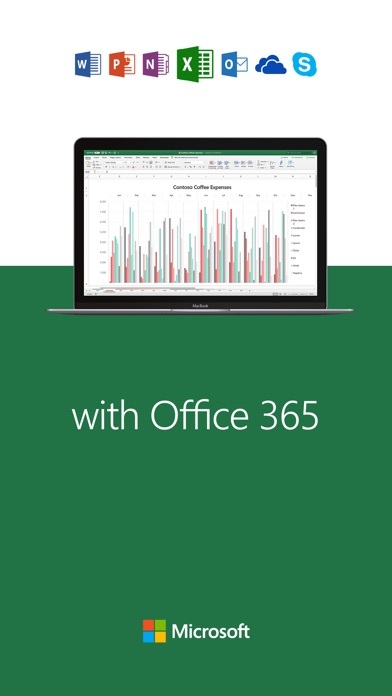 Why do I suddenly need a Office 360 subscription?? I like being able to access my excel files from my iPhone. Works great for simple editing and updating. But suddenly I can not edit an excel file that I had created on my laptop and had been able to edit it on my iPhone before. It opens read only and when I try to save it to another name or location it does not allow it because I now must have an Office 360 subscription. I never had one to begin with. I have a one drive account, but that does not get me around this. 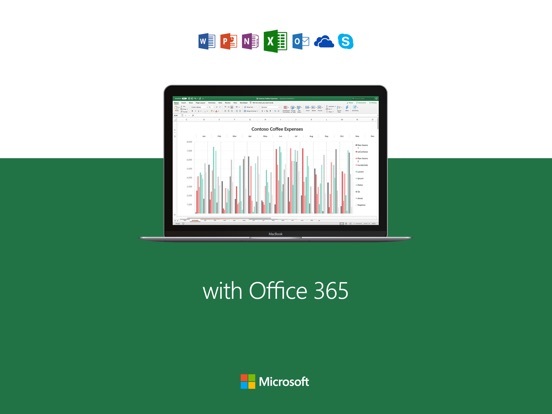 WHY do I suddenly need an Office 360 subscription? It’s MY file; I created it OUTSIDE of this iPhone app. WHY are you holding me hostage? I can’t find an explanation for why this happened and why I now need the subscription. Google Sheets seems to work just fine and I am now using that instead. Are other Office apps going to do the same thing to me? Incidentally, if you get stuck by this, I finally got around not being able to write the file anywhere by mailing the file to myself from inside the app and then I opened it with Google Sheets. Being diabetic, I find the mobile version of Excel to be VERY HANDY as I calculate my dose of insulin at each meal and keep track of my blood sugar over the long term. 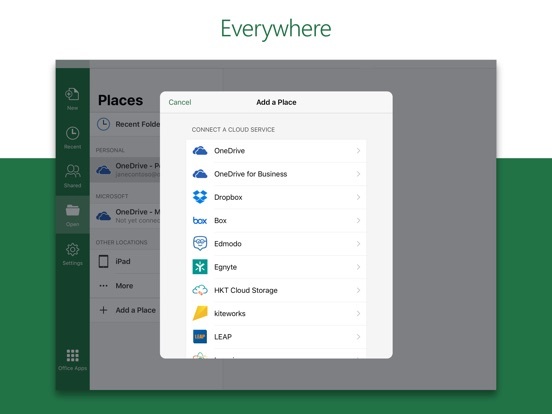 I use OneDrive to make the spreadsheet accessible on my desktop computer as well as on my iPhone. One small negative: I keep a spreadsheet for each week. Since I frequently add new food items to the sheet where I store nutritional information, I do not use a static template for every week. Rather, I clear the data for each meal from one week in order that I may use the updated spreadsheet for the coming week. Using my desktop computer, I use a macro to accomplish this task of clearing the data. It would be handy if the mobile version of Excel would allow me to run a macro to produce a clean version of the spreadsheet for each new week, but the mobile version does not support macros. Overall, I’m very happy to have the convenience of using Excel on my iPad. I’m not a very sophisticated user, so the stripped down version is mostly workable for me. That said, some functions don’t seem to be present at all, and it’s puzzling why they aren’t included in the iOS version. I keep getting a ‘circular reference’ error in one spreadsheet, for instance, and can find no way to locate it using the iOS app. I finally went to my PC to resolve the error. Since all of Microsoft’s dubious ‘help’ seems to refer to the PC version, looking up ‘how to’ information can be an exercise in frustration. If there’s a chart that tells you which functions aren’t included in the app., it should be prominently displayed so as to avoid the many wasted minutes looking for something that just isn’t there. Bought the subscription to Office 365 because I wanted to use Microsoft Excel. First 2 projects I worked on went fine. My 3rd project was a huge one (a $800 fee for me). I worked on it for 6 hours when suddenly my work vanished ... disappeared right in front my eyes! I tried everything, but I could not get the document back. Came to the realization that while the “auto-save” feature was “on”, the app was not saving any of the work!! The Microsoft cloud had nothing! Made a quick research and found that this type of complaint has been posted by others going back to 2014!!! What??? IT HAS NOT BEEN FIXED??!! Clients have had the same 2 bad experiences (failure by the auto-save and the document disappearing) AND MICROSOFT HAS NOT ADDRESSED THIS ISSUE. So, despite buying the iPad Pro intending to use Excel, I now will have to buy a Window base laptop. Grrrrrrrrrr. At one time I would have given 5 stars as Excel is one of my favorite programs. But some recent changes have made this app almost unusable for me. 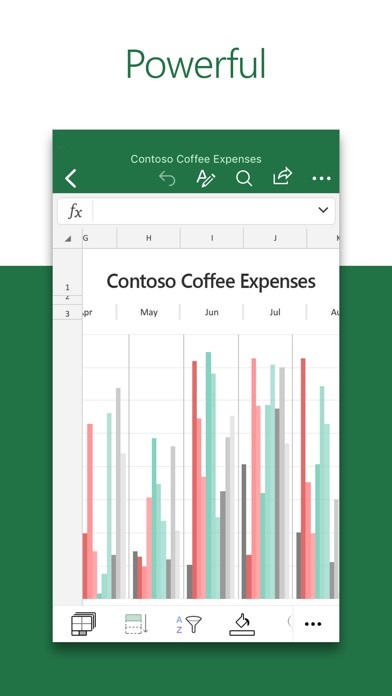 I'd rather turn on my computer and wait to use that Excel instead of the app. If I try to scroll up and down with the key pad open, it usually closes the keypad on me. Opening it again every time is a pain. When I enter a number in a column and hit return, the keypad automatically reverts back to the text keys instead of the numbers. If you are entering numbers in a column, chances are you will want to keep entering numbers. Having it go back to text every time is obnoxious and totally a waste of time! If I select a cell with my finger, it is basically impossible to then select an adjacent cell. I need to tap one away from the one I actually need first and then go back. Okay so, I’m an MS Office girl from way back. From websites to databases, you name it, I loved every little bit Office could offer. But then I got an iPhone, and I found myself straying to other apps compatible with my newfound iPhone love. I tried Office for iPhone, but at that time, the two designs just didn’t work well together. But recently I’ve needed to work with Office and I gave the iOS version another go. All I can say is Hallelujah, y’all!!! Microsoft has worked out all the kinks, and my two tech-loves can coexist at last! Oh , and not for nothing, I recently got an iPad Pro 10.5 with an Apple Pencil, and OMG, y’all!! I’m in database-formatting-outline-creating Heaven!!! 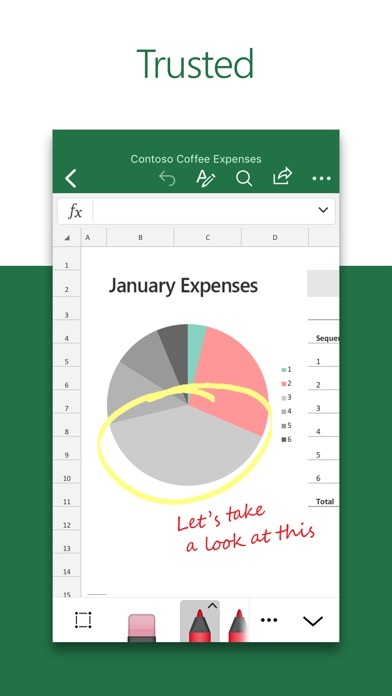 Give Office for iOS another try- you’ll be happy you did. I love being able to use Excel on my iPad Pro as it’s super easy to make adjustments on the go. I’ve got Office 365 and my documents are stored on OneDrive so I’m usually able to make changes and it shows up on my other devices. However at least once a week the app seems to forget my password and all my documents stop syncing. I have to sign in again and then it overwrites any changes I’ve made on my iPad since it decided to stop syncing. OneDrive has been doing weird stuff like this on all my laptops, desktops and tablets over the past few years. In fact the last time OneDrive seemed to be problem free was back when it was called SkyDrive. Hopefully Microsoft gets things figured out eventually. If not I’ll probably just switch over to Google Docs when my 365 subscription ends. I'm very happy now. The earlier version not so much, but now I'm very happy. I've been a Microsoft user for 30 years. I totally love Excel. I've used it for work, keep as checkbook, travel expenses, on and on. My title was Constructed Manager, of multi-million to billion dollar projects. I've got 4 college degrees. Love Excel. However anyone can make use of this program and love it. 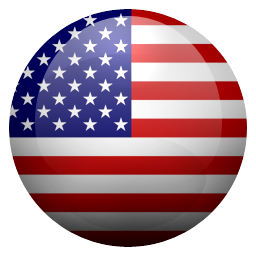 This current version is the very best to use on Apple ISO products and very easy to use. It's just a matter of experimenting and before you know it your an expert. Enjoy! 02Aug16 The improvement continue to make Excel better and better. I've been using Excel on my own Microsoft computer for many years and I continue to find more uses and simpler way of doing things. This App is continuing to evolve making everything simpler and more fun to use. I strongly suggest to try it if you haven't before. 04FEB17 This App has completely gone down hill. A very simple thing to do is format a column of numbers. Ex: Dates, Dollars. Well....if anyone figures out how please let me know without having to write a very time consuming formula. That is the only method I could fine. When this App first came out, one (1) Tap set the cell or the column format. Now? Forget it. iPad Pro 10.5 to iPad Pro 12.9 told 365 only $.99/mo WRONG! My 10.5 Pro which I’ve been using for years was lost. I was deciding between the 10.5 & the 12.9 Pro. I told Apple Sales person that I mainly work in excel on a daily basis. I was told that I might find the 12.9” a Big improvement. I would have to purchase 365 to be able to update my spreadsheets but that it only costs $ .99 per month. I didn’t like the change that the upgrade would cause but purchased a 12.9 for over $100. Once at home I find that the 365 app cost 6.99/month or $84/yr. I should not have trusted the Apple sales agent and checked before purchase but dang, why should I have to. I certainly can afford the $84 but it’s the principal. I can afford it but I hate greed! I’m taking back the 12.9” and purchasing the 10.5” Pro which I was doing just fine with. Sometimes it’s the little things that count. This App has been a consistently great experience for me to use. I haven’t yet come across the problems others have, however, I use it for basic things like inventories and logs, so I may not be using it to the extent others are. I also really appreciate reading the reviews that have complaints and see the developers’ responses to these important reviews. The developers are quick to make the fixes, almost every week it seems, and I think that makes not only for a great App but for wanting to stick with an App (and their company) because you’re getting awesome service. Thanks, again!!! Need instructions to be helpful. Could use the app a lot more if I knew what I was doing. I would like to know which would be good to make a list of my bills in and follow through with the monthly changes on that. Then there’s things just add on their own or don’t add when I would like. There’s also the fact that some of us pay monthly a subscription for Microsoft office and they could at least be decent enough to send us a book on the apps. I’m not talking, wait stop what you’re doing, go out of the app and watch a video. I want a genuine piece of paper inside books or booklets that says, Word, Excel, One Note and instructions with each. I also don’t want one note to keep closing on me or to lose info that I typed. It’s too much to ask, I know, but do continue taking my money each month and sometimes twice a month, why? I don’t know why? Don’t get me wrong there are definitely limitations with it being on mobile, some limitations even that I don’t think would be too hard to implement over time. That said though for what excel on mobile does offer it is very worth it. Whether I’m making moderate changes to an existing workbook or creating a new one before finalizing it on windows 10 (usually because of the limitations on mobile), it is very user friendly and allows everything needed to create a basic workbook. It still has room for improvement which is my reason for only giving 4 stars but in the end it’s a very good mobile adaptation. I’ve been using this app for quite some time with my hotmail account. Generally, the compatibility with excel’s more robust desktop and web app has been good but for quirks (keyboard is too large in non-landscape, etc). Minor stuff. I recently upgraded to a iPad Pro and was unpleasantly surprised that I have to get a 365 license to do what I did before on my regular iPad for free. $6.99 a month is NOT worth using this app. It took some time to figure out that was the problem considering I had a regular office version for Mac. I’d give it 1 stars for this but I think the functionality is generally great and better than Numbers. It’s just unfortunate that they don’t make that clear. At $2.99 a month, I might consider but that’s just way out of line for usage. I have always liked excel. This version with cloud save is great. I can use on iPad and it looks and feels like laptop version. I have spreadsheets I need both places. I can create a bookmark on my windows explorer and then click a button to open on the laptop excel vs. using the web browser version which I don't like as much. Magic - genuine compatibility and cloud storage. Love that most functionality free since I paid for license on laptop. Well done by Microsoft to serve and retain customers. I had started to use numbers but have since stopped. Pretty much useless as a mobile app unless you have pristine internet access. DO NOT WORK ON AN IMPORTANT DOCUMENT WITHOUT PRISTINE INTERNET!!!. The office 365 file sharing protection feature will lock your changes out even if your not sharing the document with anyone. Once that happens your pretty much stuck with saving as a copy. Once you get to a DESKTOP computer you can delete the original file and rename the copy to the original. I don't understand why smart developers don’t understand that fast internet isn’t everywhere in the world. Hotel internet is slow and internet isn’t even available on airplanes. This shouldn’t be a problem for as long as it has been. I love Excel! Love it! THIS, is bordering on unusable. More frustrating than anything because of the amount of bugs in this version. Half the screen disappears, for no reason, once every minutes and a half. The formula suggestions are defaulted to “insert” so when you type a formula the suggestions disappear. If it was just those things alone, 3-stars. BUT the design flaw is inexcusable. The pen functionality...... is garbage. Whoever, Engineer/Designer/Project Manger, decided that the pen is only useful for drawing, IN EXCEL!?! ?, should be flogged! I get the ability to draw with a pen, sure, makes sense, but AUTO DEFAULTS to “draw”, the moment the pen touches the screen, with an inability to turn it off, is nothing short of incompetence. Very unhappy. I use this app everyday. When you use the app, you can pin your regularly used worksheets to the top of your recent list. However, since the last update, after you make changes to your worksheet and save/close the worksheet, it is no longer pinned to the top and you’ll have to find it again and re-pin it. If you are changing between multiple worksheets that can (and is) quite tedious (and annoying). I’m not sure if this happens in other Microsoft for iOS apps, I haven’t tried. The only support you get is via the paid route or hopefully through their message boards (good luck). Otherwise it’s a good app. I use the app consistently for accounting class but it crashes every five minutes. It takes a minute to reopen every time so I get behind. That being said, it does work well to generate formulas—though if you don’t already know excel, you may have problems. That’s the main reason I use it instead of doing manual math and handwriting all of my notes - the formulas error-proof the math. Needs a feature to increase or decrease indentations within a cell. Sometimes it will do it on its own, which makes everything inconsistent. Time Sheets for Entertainment Labor. This app is great. All the features work just like the full featured computer version. It allows for our leads in the field, to fill in the time sheets via their phones. For example outdoor events don’t always have a production office or for the first day or two hasn’t been established. Being able to do the work on your phone makes for a easy day. Imagine trying to set up a computer on a road case then tether to the Internet just to fill out time sheets n save to company Dropbox ?!!! This app is a win win. Even with a keyboard, entering data is a pain. To fill, for example, you have to first click the first cell so that the menu shows and then select it. Then, you have to use your finger to drag the box to encompass the cells that you want to fill. To enter data into the cell, you have to click the FX window. The on screen keyboard is puts an undo button as part of the space bar. I can’t count the number of times that I have pressed the undo side of the space bar and undid all my work of the previous 5 minutes. I have noticed since there does not seem to be a way to actually save and exit a file, it doesn’t always save correctly in Microsoft cloud. Or sometimes if i try to save a document I’m working on as a different file, it seems to be that i can ONLY access it from my iPad. It does not show on other devices that the folder is shared with. If i go look for the file in Microsoft cloud, it shows like it’s more in a pending status. I can’t rename it, move it or delete it. It also says that it is zero kilobytes, so nothing is in the file, just a name but i can access the file WITH data in the document if i go through recent files in Excel only. You have to re-open the app every single time if you switched to the other app is a pain... Sometimes it can take more than a min to open the app, it’s so inconvenience, this app requires you to stay in the page otherwise it would shut down itself automatically immediately. For me, my work is like have to do switching between apps. I bought the online 365 student version, and always use online editing, but it just ask me to re-open the app again and again makes me frustrated. The older version wasn’t like this. It changed since the last 2 update. I want the older version back!!!! I use excel to keep track of my bills. Excel works on my iPhone and my old iPad that crashed. I bought the iPad Pro 12.9 and it will not you edit without getting a subscription, this is non-sense. I paid for Microsoft Office for my laptop. Don't feel like I need to pay for it again just to update 7 to 8 bills per month. I do my main work on my laptop when needed. Love the app but not the price for a little work to be don't twice a month. Giving one star until something changes. Don’t move off the app without save your work first. Microsoft cares more about checking to see if you have an Office365 license than saving/preserving your work! When trying to create a simple worksheet that I was cutting and pasting to from a web page, when I got back less than a minute later, excel reset itself and then opened up the last thing I had open that had been saved! I lost everything I had done! Why would this happen? The only reason why it would not remain open is the same reason it takes so long to open a Word document in Windows... because it has to check to make sure you have a valid license... even if you had opened up Word not just 30 seconds ago! LOVE the iPad app! It makes everything so accessible and easy to learn on. People who aren’t fluent in Excel will probably do just as well or even better than people who are when learning how to use this version. There are some annoying things when it comes to using the app in landscape vs portrait mode (sometimes buttons merge when switching to portrait that just don’t really make sense to merge) but other than that, I’m a grateful that such a necessary tool is free through the App Store. If you’ve ever used real excell you’ll find this extremely clumsy . It’ll drop off the name of the column if you change width, even drops number off. We have a brand new business printer with air print, this won’t print. Says it’s not in a format that will print. It’s a simple spreadsheet of book I buy not a bunch of complicated formulas and it’s still awful. It is the only choice however and it’s 10$ a month. It’s a ripoff but if I pad pro is your computer it’s the best you can do and accept you cannot get a hard copy. I just cancelled the ridiculous subscription because if I can’t even get hard copy it’s useless to me bye. I did what the directions said so I sure as #@#% better not get charged. The new comment feature RUINED my previous notes. I used to be able to edit them at will. Now because they have all been converted to these “threaded comments”, for one they take forever to open up when you tap on them and I cant edit them. Ive had this particularly useful spreadsheet that Ive used for years and now its almost no good to me. I was on online with tech support for 2 hours trying to see if there was a way to reconvert them back to simple notes. It turns out I have to use the my laptop and redo the entire spreadsheet to re-add all my notes. I cant even find the “add note feature” on my iPad version. I am not happy at all with this comment thread feature!! It automatically opens the last file you used and is very slow to cancel the operation. It also has an obnoxious message when you try to cancel it opening saying, “Attempting to Cancel.” Attempting??? Make this a setting for those of us who use more than one spreadsheet. It also has to load everything again almost every time you switch apps. If you close the app or even lock your phone/iPad for a bit, it has to reload the worksheet again and often doesn’t save your previous work. I have been using the Excel app on my I pad for a few years now and have a love hate relationship with it. Love the spread sheet capabilities, but sometimes I need the grid lines and cannot for the life of me get them to print. Tried everything that they recommend , but not luck. Sometimes, I make a spread sheet and can't print part of the sheet, especially if the address is in blue, so I have to go in and change it to black and even then, it sometimes doesn't work unless I e mail it to myself and then print. They should send some updates that actually work. I am a story writer and when I’m at loss for a character I use an excel randomizer that I created on my computer. With looks, personality, quirks, weaknesses, random words and more. I like how I can just save it on my cloud and open it up on my phone whenever I have inspiration and am not near my computer. I just wish there was an easier way to randomize (like using f9 on the computer). I always end up clicking on the cell that has the random formula and press return. It is unable to sync with the Dropbox app so i can’t access files in my dropbox cloud. It is really hard to believe to experience this kind of issue from one of the world’s leading corporations because this issue should have been caught and fixed by the developers. Very naive mistake that happened unnecessarily due to their lack of attention! P.S. The issue was swiftly resolved in a day so I can access my Dropbox cloud again. Thank you! I have used office for many years. Once I bought an iPad Pro I could no long edit word or excel files. I was upset and switched to numbers and pages. Those were both inadequate so I decided to buy office 365. It was a great decision, I can edit my files anywhere and with 1Tb of OneDrive storage included I can store all my files and photos in one place. I would recommend Excel and Word to anyone who needs a word processor or to create a spread sheet. Did you really take away the left and right cursor keys or is that IOS11 doing it? I just tried rotating the phone and they are gone in this editor too so it must be the OS. One of the hardest things to do when editing a long formula is getting the cursor in correct position to add or delete something. The one saving grace was if you turned the iPhone sideways the extended keyboard shows with left/right cursor movement keys. These allowed precise placement of the cursor. After I updated to ios11 they are missing. Instead there is just blank wasted space on either side of the keyboard. Without those cursor keys the best you can do most of the time with fat fingers is get within a few characters to the right of the position and backspace away good characters that you have to replace after the edit. It’s a very useful TOOL 🛰 it guides you throughout the app. It teaches you how to use it step by step how to create templates for what you need so it’s also very convenient. If you create a template for your daily expenses • ex: what you expend by priority laid out for you by how much of what’s important you expend. •ex: TIME•EATING•exercising•WORKING• How much I expend in...A DAY -A WEEK- A- MONTH A -YEAR A -DECADE -2 DECADES...of what I care about. That is how I measure my life. And “not for nothing. But” this app really helps me accomplish that. You will lose your work!! In my case, 6 months worth was lost, only to be followed up with 3-4 hrs, getting NOWHERE with Microsoft tech support. Outrageous! Files created on my laptop, only modified on the Excel app on my iphone, were all unrecoverable and completely gone when the excel app was inadvertently deleted from my phone... the files were initially created and were saved in multiple locations, OUTSIDE OF EXCEL APP...! Why then were they accessible for deletion simply by forgetting to lock my screen when I put my phone in my pocket which caused the accidental deletion of the excel app??!? 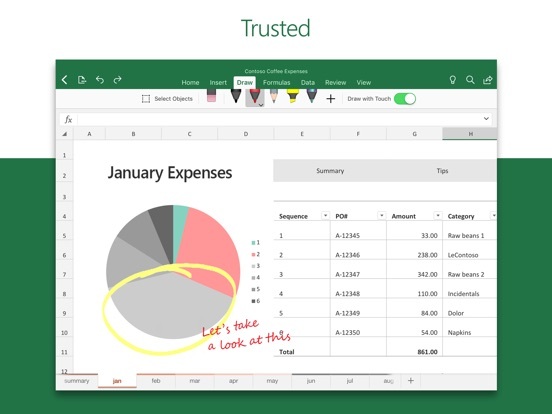 Not the Office 365, just excel. Nightmare...ongoing nightmare!! Saved a file in Excel on the 14th to Dropbox. Updated the file on home PC on the 15th and then again on the 16th. Try to read it in on the 17th, see the old 14th version. Tried "Discard changes", tried double-tapping on the app and shutting it down - more than once. I opened the new file in Dropbox, it is the right version; told it to open that file in Excel, but Excel opens the old version. Did that twice. Be real sure of what versions Excel shows you. Started crashing a lot after a recent update. Generally fine, and it's nice to be able to work on spreadsheets on desktop or mobile, but after a recent update it just crashes regularly now, especially if I turn the screen off with it still in the foreground. Less than a minute and when I turn it back on, it has to reload itself, and then my spreadsheet. It also forgets where I was, and goes back to wherever my last edit was. I do this enough that this problem has become enough to make me move to a different spreadsheet app. I have used Excel on a PC for many years. I was skeptical that the iOS app would be useful as there are so many features and functions that require menu pics using a mouse on the PC platform. I am pleased to report that Microsoft did an outstanding job on the user interface for this version of their tool. It is easy to use and provides all of the features that I regularly use. Great APP Version, but . . . The cut/paste functions are cumbersome and it is nearly impossible to use if you have a sheet blown up for enlargement. The inability to have more than one sheet open at a time makes referencing one sheet, to complete another one, hard and time-consuming. The “Save A Copy” function works great as described but is a poor substitute for “Save As”, which would make it easier to complete a “Master” sheet and then save it under another name to preserve the “Master”. Otherwise this is a functional, but lite version of the best SS program ever written. I love Excel and use it often, usually on my computer. It’s nice to be able to edit the workbooks I have on my computer uploaded to onedrive, on my phone when I’m not nearby. It has all the functionality I usually need, although the layout is a little cramped and I wish I could customize it. I understand as it’s hard to fit all that functionality on a tiny iPhone screen, but it does the job. While I am glad to be able to use Excel on my iPad Pro, I was very surprised by how poor the app is. For instance, you would think that frequently-used commands such as adding a row to a sheet would be a part of the toolbar, but that’s not the case. It’s irritating to have extraneous clicks, and I am disappointed it doesn’t more exactly mirror the Excel I have experienced on my desktop at work. I am also bothered by the fact that I have to hook up my detachable keyboard every time I want to use Excel, rather than simply using the touchscreen, as I do for almost everything else. 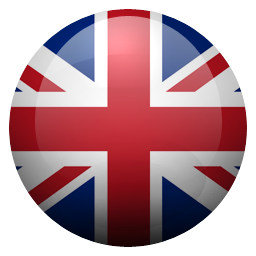 The app runs well and is extremely useful! Unfortunately the additional functions when creating a graph are not available in the app such as displaying a line equation on the graph. As such this make it difficult to complete tasks which require the use of these features which are available in the desktop version of excel. 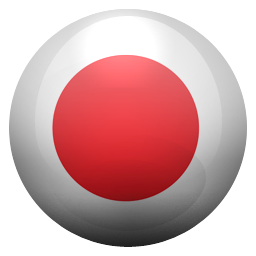 Besides that I haven't had any issues using this app for basic tasks.